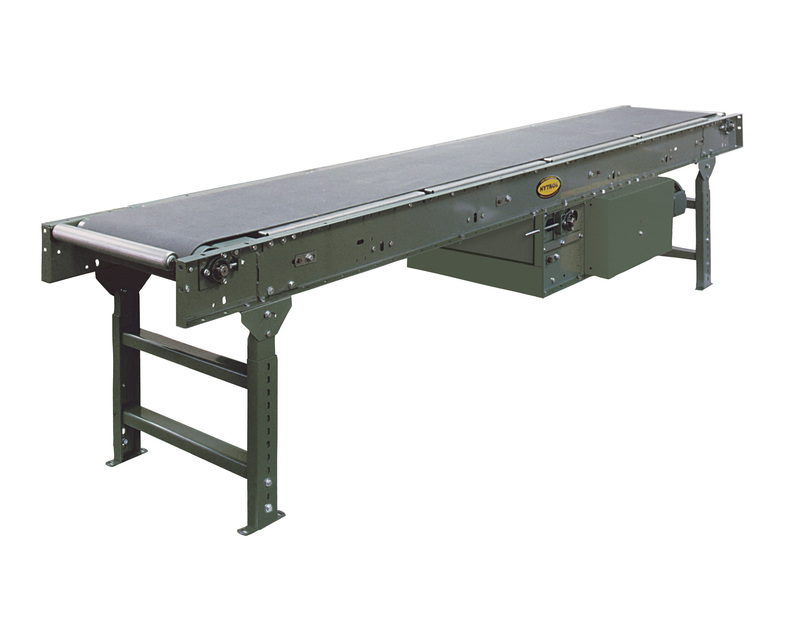 Our Model SB conveyors are great all-around conveyors. They are designed with channel frames and bolt-in pans for strength and durability. 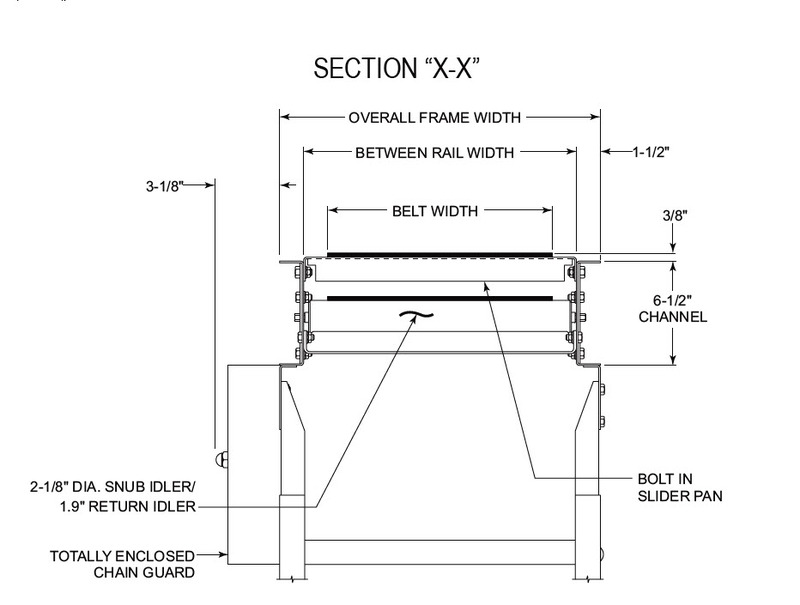 The frame design makes them ideal for matching up with roller bed conveyors. 12 ga. galvanized slider pan mounted in 6-1/2″ x 12 ga. powder-painted formed-steel channel frame, bolted together with splice plates. Provides 16″ of belt take-up. Requires a minimum top-of-belt elevation of 17-3/4″. Without modification, the minimum overall length is 10′. The chain guard is located on the left-hand side. Take-up in center drive provides 16″ of belt take-up.